A few months ago, I booked a weekend getaway to San Francisco in the dead of night. I’m very much a planner by nature, especially when it comes to travels, but a bout of insomnia and a too-good-to-be-true airline sale had me feeling spontaneous. Bay Area, here we come! 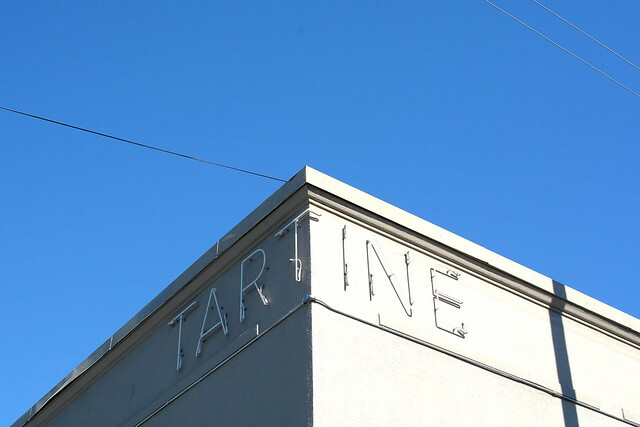 Following a BART ride from the airport to the hotel—a transportation treat for suburban dwellers—The Astronomer, June, and I jetted to The Mission for an early lunch at Tartine Manufactory. 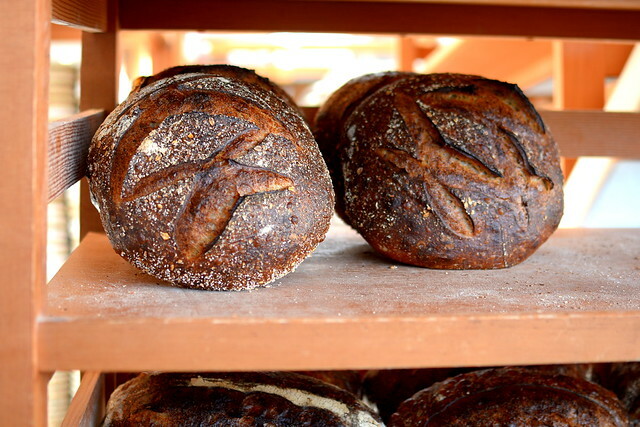 Elisabeth Prueitt and Chad Robertson of Tartine Bakery fame opened the 5,000-square-foot Manufactory late last summer. 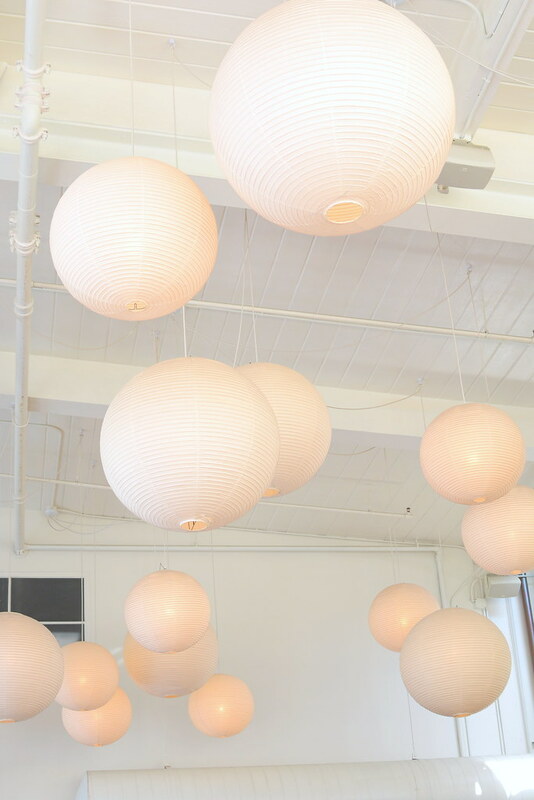 The expansive space houses a restaurant, coffee bar, bakery, and ice cream shop. We were lucky enough to get a table without a wait. 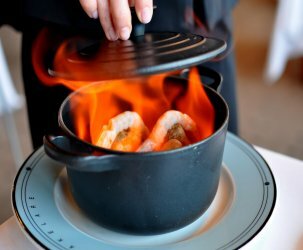 Granted, it was the sunniest table in the dining room, and we were squinting and sweating the entire meal, but we’ll take what we can get. “Bread and Butter” ($5) to start was an absolute must. The bread was perfect. The salt-flecked butter served alongside was a luscious bonus. The smørrebrød ($10) was also perfect. 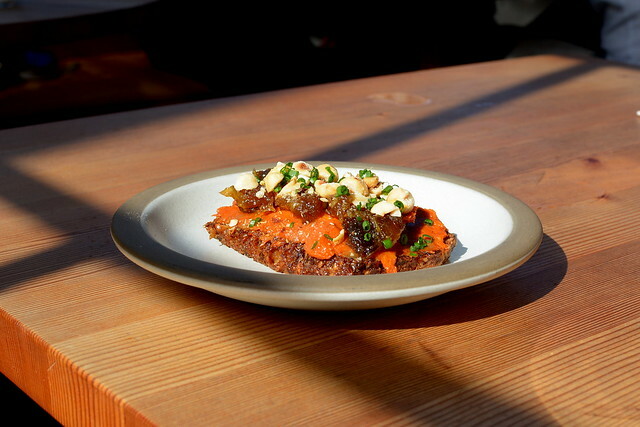 Layered atop a slice of dark rye bread was a spread of spicy ‘nduja and the sweetest Bahri dates with a smattering of hazelnuts and chives. 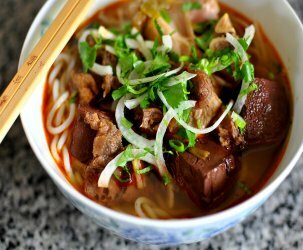 The combination of flavors and textures was so, so good. Also perfect (are you sensing a theme here?) 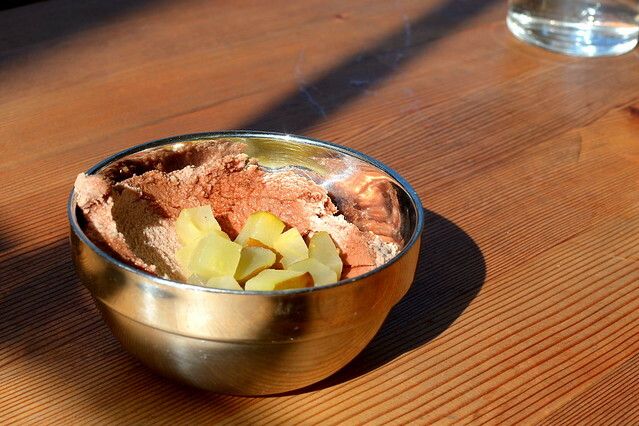 was the chicken liver pate ($10) with pickled Bartlett pears. I beamed with intense pride as I watched June slather the pate onto the bread with gusto—that’s my girl! Continuing the streak of perfection were the “Roasted Nantes Carrots” ($13) with persimmon, yogurt, fenugreek, mint, dill, and sesame. 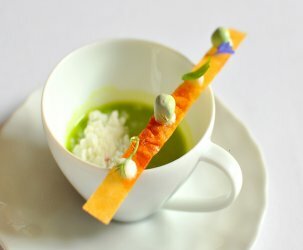 I’m not one to wax poetic over a plate of produce, but man, oh man, this dish was phenomenal. 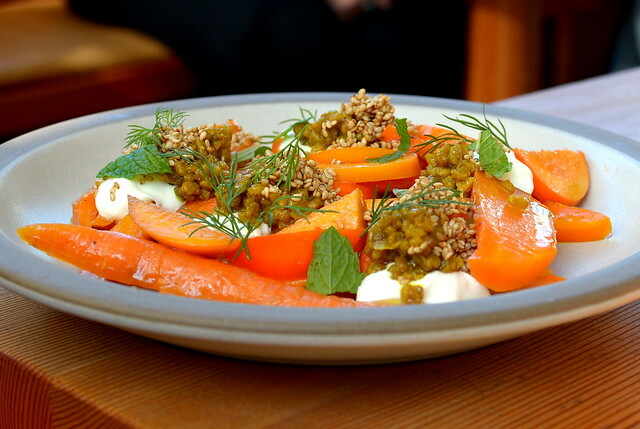 The carrots and persimmons tasted like they were plucked from the finest California soil minutes before, while the accoutrements, especially the spiced sesame brittle, dialed the dish to an eleven. 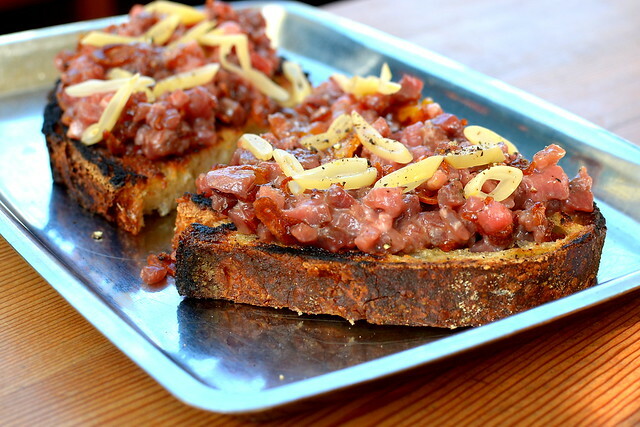 The Steak Tartare ($16) with pickled Romano beans and cured egg was, you guessed it, perfect. 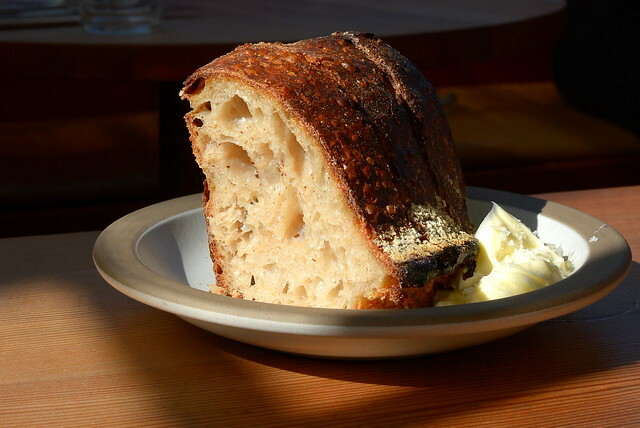 The foundational bread was toasted and charred just so, while the coarsely chopped meat, rich with egg yolks, delivered in every way. 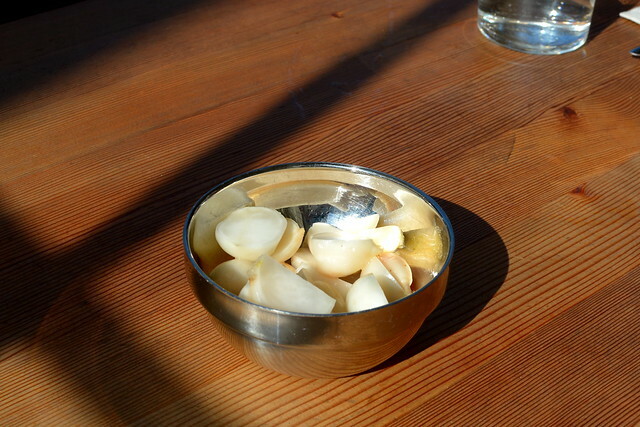 And finally, we ordered the “Whey Pickled Turnips” because June’s got a thing for pickles. We were collectively quite meh about these. There are limits, as you know, to the elevation of turnips. 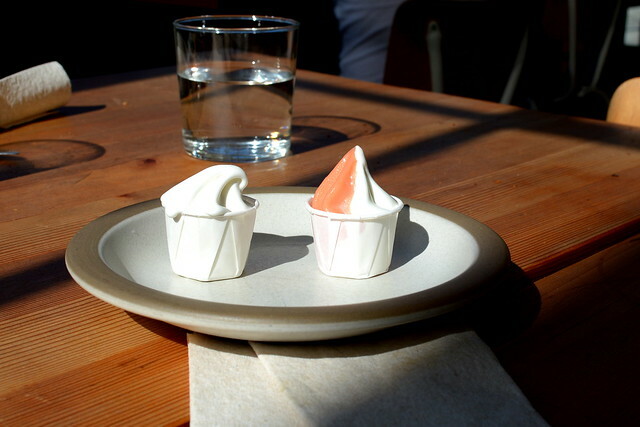 To finish, a sample of the Manufactory’s perfectly balanced soft serve—cardamom and blood orange. We regret not saying yes to full orders of each flavor. 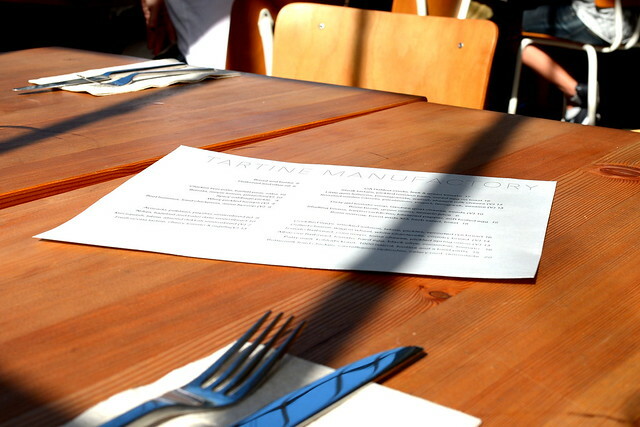 Lunch at Tartine Manufactory was pretty much perfect. And that’s all there is to it. 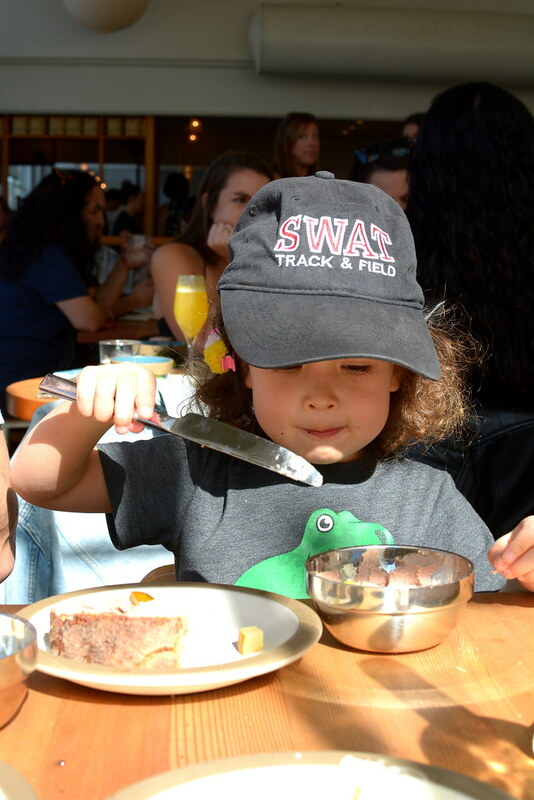 Three years ago: San Francisco Sweets: Morning Buns, Russian Honey Cakes, Egg Tarts, Doughnuts and more!